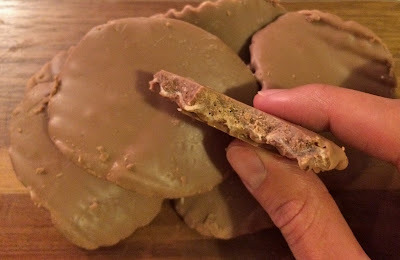 I have hinted at this wonderful mashup in a past post but I think it's time to give the chocolate covered potato chip it's own coverage. It's that good. I first discovered chocolate covered potato chips about 15 years ago at Daffin's Candies in PA. I loved them so much that when I moved to NY and started missing home, I called the Daffin's store to see if I could special order a box for them to ship since I didn't see them offered on the website. I still remember the very friendly (and somewhat amused) woman on the phone who went the extra mile to send me a box with a little hand written note inside :). 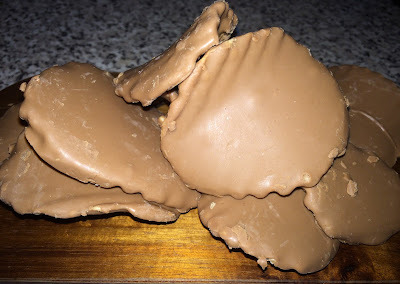 Since then, I've noticed that more and more specialty chocolate shops are offering these amazing chips which is great news for anyone with a mouth. Currently, I'm obsessed with the ones made in Butler, PA at Barkus Chocolates. For my bday, my only request to my mom was for her to send me Barkus' chips. She sent 4 (!) boxes and I already ate them all, thanks mom! Sold yet? Want to know where you can buy them? If your local chocolatier doesn't sell these, don't worry. There are other ways to get your hands on some. 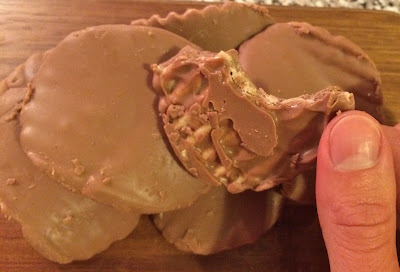 After reading my post about Sarris, one of my friends asked me if I've ever tried their chocolate covered potato chips. I haven't (yet!) 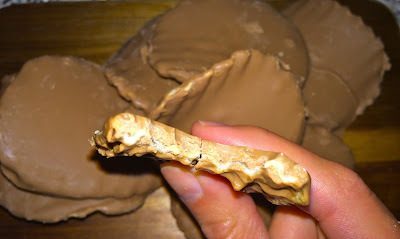 but Sarris makes a fantastic chocolate covered pretzel so I would trust them with potato chips too. I've also seen these at Trader Joe's but be warned, I find the TJ's chips to be a LITTLE stale so these should only be considered when you can't find them at a neighborhood chocolatier. That said, they do work in a pinch. I do not however, recommend the Lay's version you can find in CVS or grocery stores. Don't waste your time or calories on these. They are very underwhelming and will give you the wrong idea. There's not a thick enough coating of chocolate and the chocolate is kinda chalky, not quality. I even think the chips don't taste as fresh. Not worth it at all. Finally, you could just do what I once did and call Daffin's or my latest fav Mueller's, and very nicely beg ask them to send you a box. Just try and remember to pace yourself after you rip open the package. Yummm! Can't wait to try them!